1.Preheat oven to 350°F. Gently coat two 12-cup mini muffin pans with cooking spray. 2.In big container, mix entire wheat flour, brown sugar blend, cinnamon, baking powder, and baking soda. 3.In separate bowl, mixture the bananas and vanilla extract. 4.Combine banana mixture into flour mixture until soft. 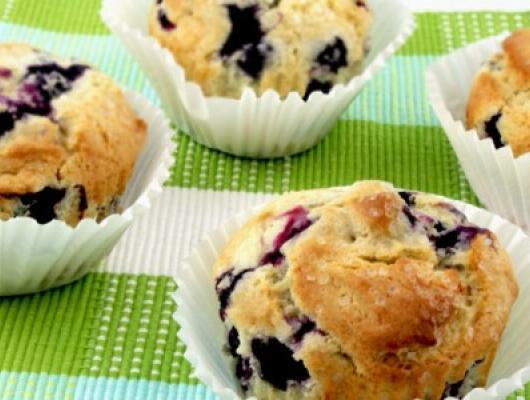 5.Fold in blueberries and spoon the batter into prepared muffin pan. 6.Bake 10 minutes, or until a toothpick inserted in center comes out clean. Can I use regular brown sugar instead of Splenda in this recipe. Morning meal muffins made of the wonderful banana, blueberries, cinnamon, and brown sugar.